You might not think that luxury and affordability are two things that go together, but Volkswagen proves that wrong. The 2017 Volkswagen Passat is a luxurious and affordable sedan that makes commuting to work, dropping the kids at school, or taking a weekend getaway more fun. The 2017 Volkswagen Passat 1.8T SE trim level comes equipped with a turbocharged 1.8L four-cylinder engine. You’ll get many of the standard features of the base trim as well as upgrades to the exterior, such as 17-inch wheels. Inside, you’ll find a sunroof, rear air vents, and VW Car-Net® App-Connect. It’s easy to get in and go with the keyless entry and ignition as well. Why Buy a 2017 Volkswagen Passat 1.8T SE for Sale from Autobarn VW of Countryside? 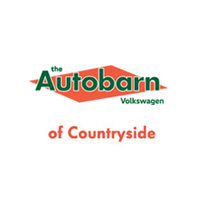 At Autobarn VW of Countryside, we want to provide you with total customer satisfaction and happiness every time you visit, whether you’re purchasing a new or used car, or you’ve brought your vehicle in for service. Our staff is here to assist you in any way we can. If you’re ready to explore our inventory of 2017 Volkswagen Passat 1.8T SE sedans for sale in Countryside, schedule a visit to our showroom. Our sales team is here to answer your questions and help you decide which Passat is right for your needs. Our finance department can help you find a loan that suits your budget, and before you know it you’ll be the proud owner of a new Volkswagen. Contact us today to get started.